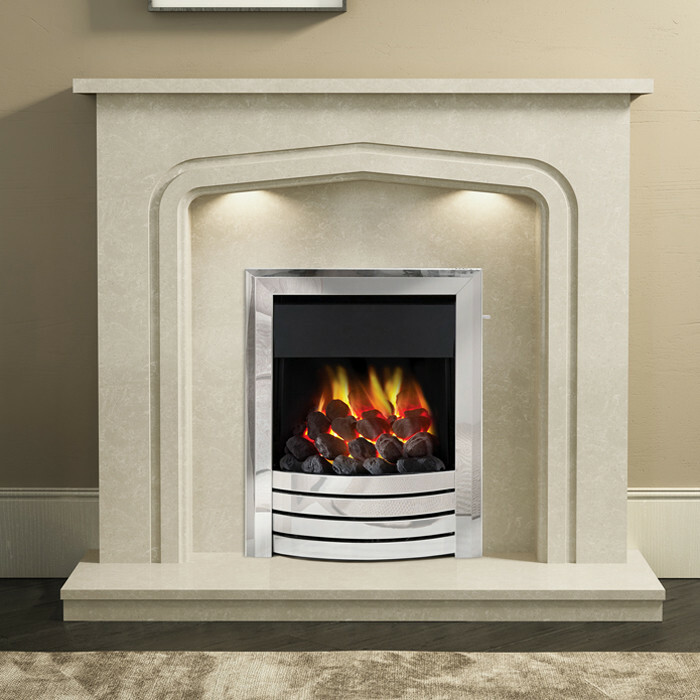 The Be Modern Cassola Marble Fireplace Suite consists of the Cassola 48" manila marble fire surround, manila marble back panel, manila marble lipped hearth and optional Be Modern gas fire with Design fascia which is available in various finishes. 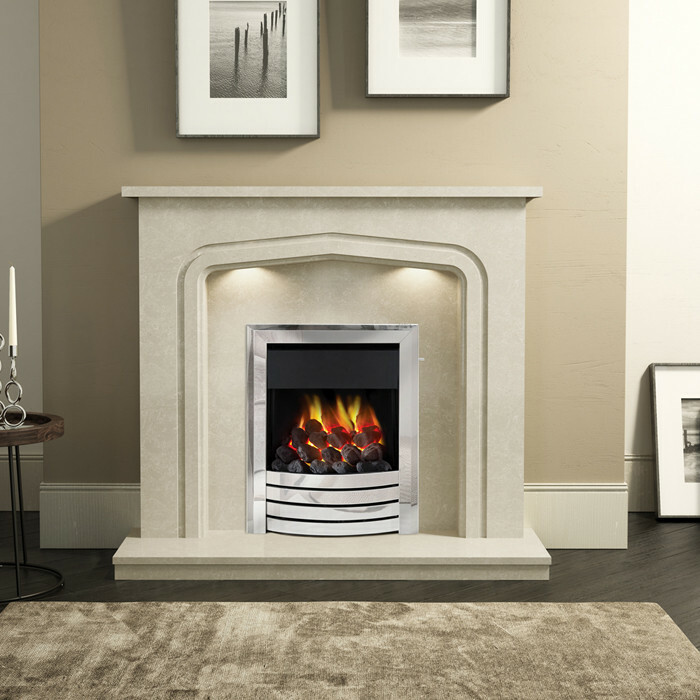 The Cassola marble fireplace has a traditional Tudor arch design and is made from micro marble in a manila finish. Micro marble is an engineered stone, manufactured from crushed marble and specially developed resins. The Cassola mantel comes with built-in downlights which are manufactured with long-life LED technology and are mercury free and more energy efficient than traditional halogen bulbs. 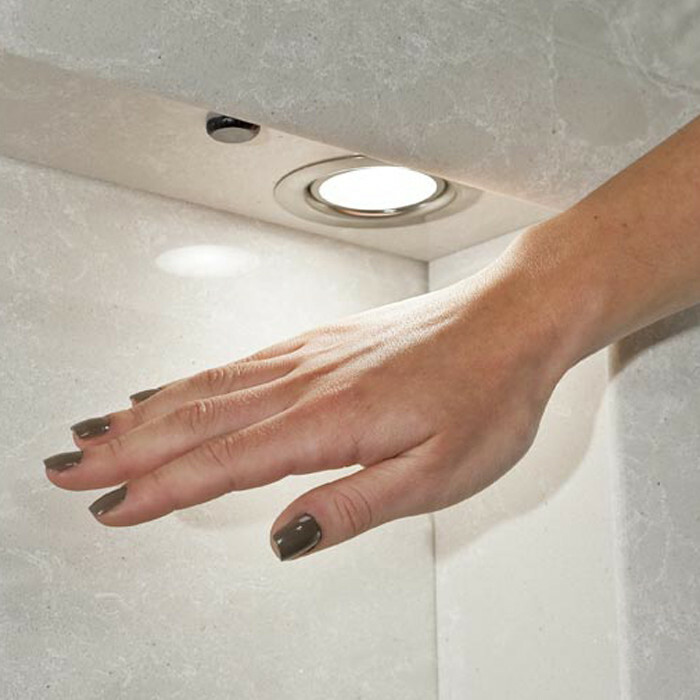 The downlights provides a sharp flicker-free light accentuating the natural beauty of the marble. The LED lights incorporate Smartsense Technology which are controlled by a motion sensor - no contact is required.